Everyone can easily get their two-wheel fix this weekend, with the Pro Motocross Championship, Monster Energy Supercross and MotoGP all on TV. The Red Bull Air Race guys are in Las Vegas alongside the supercross races, wrapping up their year with a two-day event at Las Vegas Motor Speedway. As far as racing on four wheels goes, NASCAR is at Kansas Speedway with the Sprint Cup Series and Xfinity Series on Saturday and Sunday. Joey Logano locked himself into the next round of the championship Chase with a win last weekend at Charlotte Motor Speedway, and the Joe Gibbs Racing folks — who have been strong for much of the year — had a tough time in the opening race of the Contender round. We’re all looking toward 2016 at this point, though, after NASCAR announced its low-downforce rules package for next season (Say it with me: Less downforce! Less downforce! Less downforce!). NHRA’s Countdown to the Championship run is halfway over too, and the drag races will be in Texas this weekend for round four of six in deciding the title winners. With a sweep of the first three Top Fuel championship events, Antron Brown set a new record for best start to the Countdown and put himself at quite the lead in the class standings — 94 points over second place. If you didn’t catch the live streaming of the Bathurst 1000 last weekend and are kicking yourself for it, here’s some good news — while replays are never as fun as watching live, CBS Sports Network has you covered on Sunday with a showing of the race. Actually, scratch the “never as fun as watching live” statement. 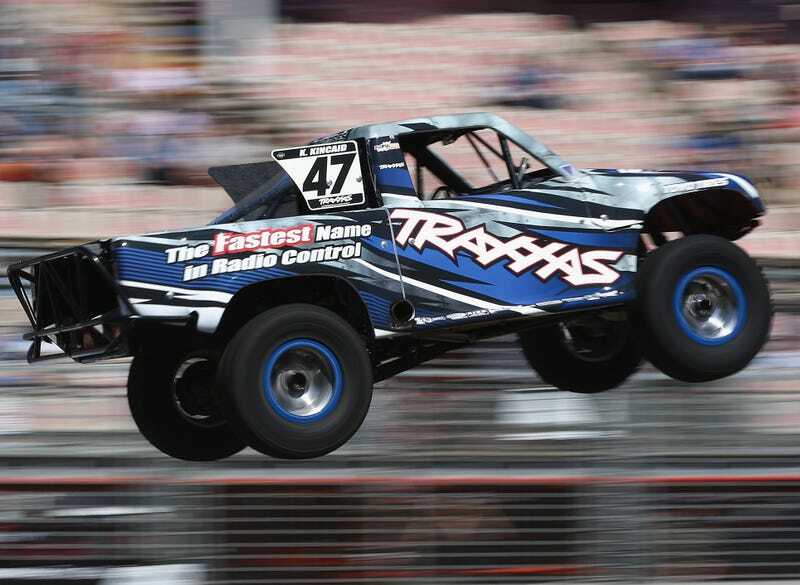 The one exception to that rule is the Speed Energy Stadium Super Trucks series, and the Saturday-morning delayed showing of their Costa Mesa event this weekend is worth the wakeup call (or the DVR recording). Seriously, when is it ever not fun to watch those guys? Anybody? If we missed any showings or you know of a good live stream happening this weekend, feel free to share in the comments below.